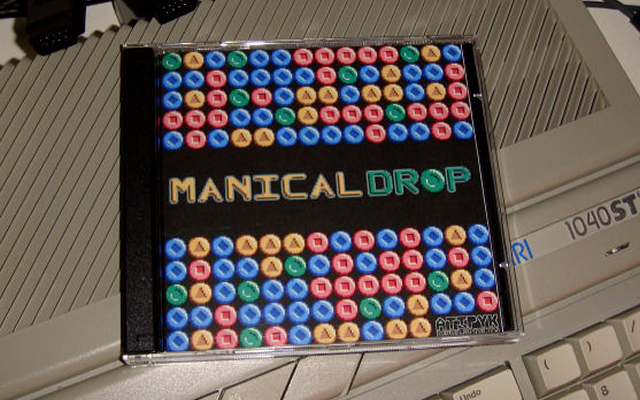 Released with practically no fan-fare and winning the Game Development competition at Outline 2008, DMA-SC's Manical Drop was a real surprise and became an instant hit in the 16-Bit Atari homebrew scene. Already an established Atari musician, DMA-SC really turned heads under his ATIPYK Developments moniker by producing an superb port of Data East's classic Magical Drop without any external assistance - the code, graphics and (predictably excellent) music were all created by a one man team - and as a debut release it's really remarkable. 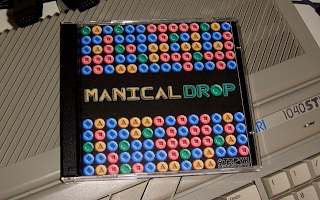 Manical Drop stays true to the game-play of the original arcade; your goal is to prevent the balls from progressing down the screen by picking them up and dropping them in lines of three or more. 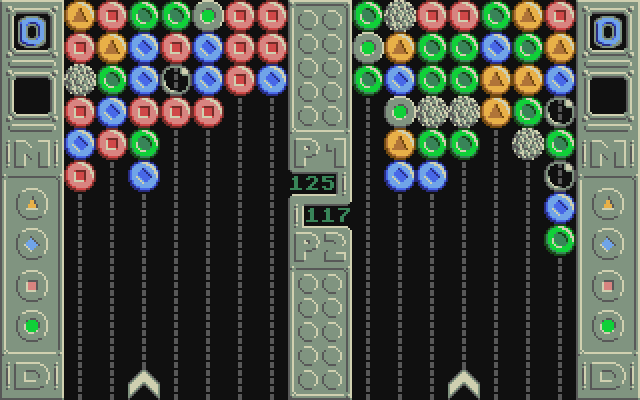 You can only pick up one colour at a time, but when you drop them any like-coloured adjacent balls will also be removed, meaning that score combo's are possible to achieve (and encouraged). 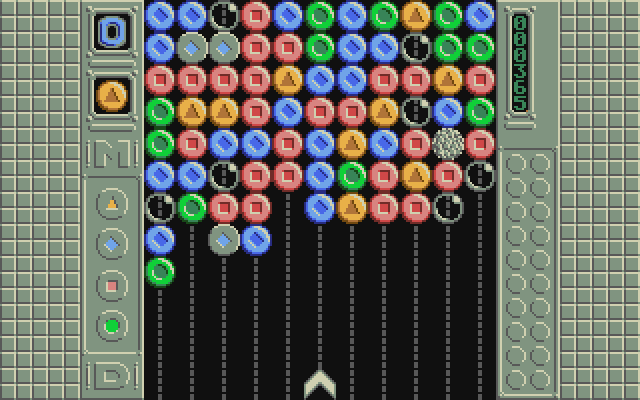 DMA-SC has also added several new items alongside the four coloured balls; Stones (change colour when adjacent to a combo), Combo Balls (remove all the balls of the same colour from play when involved in a combo) and Bubbles (block your path and have to be popped by dropping balls onto them) - all of which have been clearly thought out and work well in practice, but can also be switched off if you'd prefer to play the classic game with the original rules. 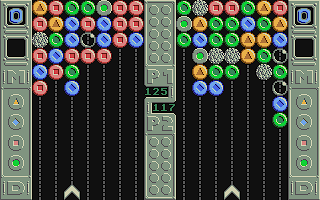 There's a wide range of play options and control methods (including Jaguar pads, which means extra points from me as I have two of them), a competitive two-player mode and for people who've never played the original there's even an in-depth tutorial. In all, Manical Drop is a really professional package. 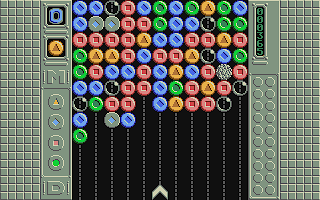 Over the past few years just about every new Atari ST game has been an arcade/logic-puzzler of some description (and I'm sure Atarians are getting a little tired of them now), but there's not been one as fast paced as this since Paradize's acclaimed Pooz back in 2005. The visuals may not be as polished, but when it comes to game-play Manical Drop really shines - especially when playing two-player against an equally matched opponent. Since Manical Drop was made public there has been no further news from ATIPYK Developments, which either means that DMA-SC is currently inactive or busy getting another game finished for the next Outline party. Here at RGCD we sincerely hope it's the second option, as this impressive debut has left us eager to play a follow-up ATIPYK release. Download the game here (from the game's entry page on pouet.net).